Looking for something different? Penderyn Distillery Tour Vouchers make an ideal gift. Tours take an hour and are available 7 days a week from 10am until 4pm (5pm in the summer months). 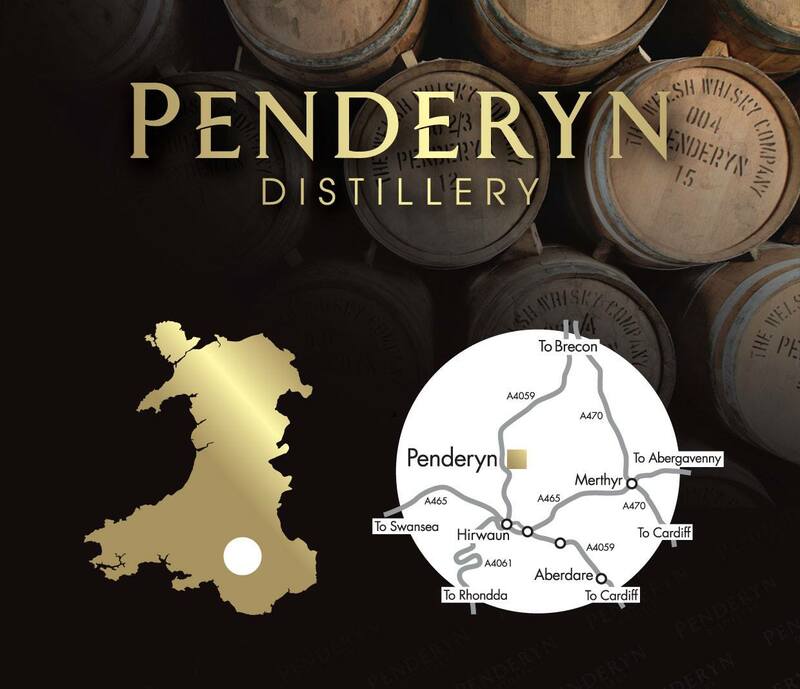 Join us for a Distillery Tour to learn about the founding of Penderyn, how our award-winning whisky is made, and what makes Penderyn Single Malt Welsh Whisky so unique. See our exhibition area, mill, mash tun, innovative single copper pot Penderyn stills (unique to our distillery) and our latest addition – a pair of pot stills. Plus enjoy a drink in the Tasting Bar afterwards! Please check your SPAM folder after ordering as sometimes your confirmation emails can end up there. IMPORTANT INFORMATION FOR VISITORS CHILDREN – Please note that, while children are welcome to visit the distillery, we are a commercial whisky distillery, producing a product which is strictly, and legally, for adult consumption. We do, therefore, expect parents to use their judgement when considering visiting such a venue as we do not have any facilities to entertain children, and no visitors under the age of 14 are permitted to access our production area. (And please note: 14-17 year olds don’t get tastings). Any children brought to the distillery must be supervised at all times and we reserve the right to ask them and their accompanying guardian to leave if they disrupt the experience of our other visitors. ACCESSIBILITY – Our production area is currently inaccessible to wheelchair users; however, an alternative tour route is available. Flat, sensible footwear must be worn by visitors at all times during the tour or Masterclass – flip flops, heels or open-toed shoes will not be permitted. FILMING – In the interests of safety, the use of mobile phones, cameras and other electrical equipment is prohibited in the production area; anyone refusing to comply with these rules will be asked to leave the tour. DOWN TIMES – We are a working distillery and so, for operational reasons, we cannot guarantee that all or any of our plant will be working at the time of your visit. However, you may be able to see into the still and mash tun, which can’t be done when we are distilling. HEALTH & SAFETY – Please remember that we are a food & drink manufacturer and as such must apply stringent checks across all areas of our business. Therefore, we respectfully ask that if you, or a member of your household, are unwell and/or suffering from any gastrointestinal or contagious illness on the day of your visit that you postpone your visit until a later date. This is to ensure that all of our products are manufactured in the safest way possible.